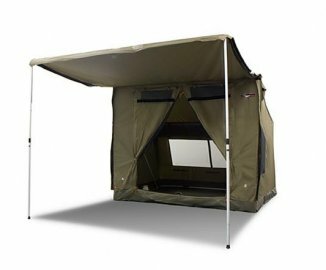 Made from high-quality waterproof 8 Ounce Rip-Stop Poly-Cotton Canvas and a heavy-duty heat-sealed PVC floor. 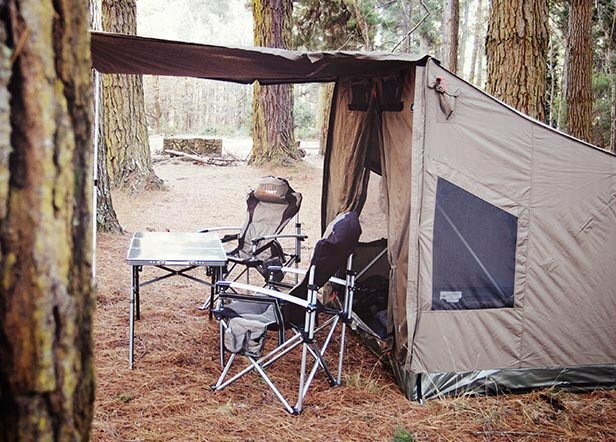 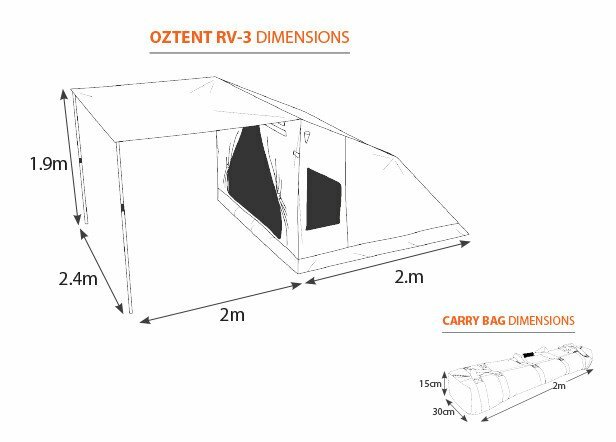 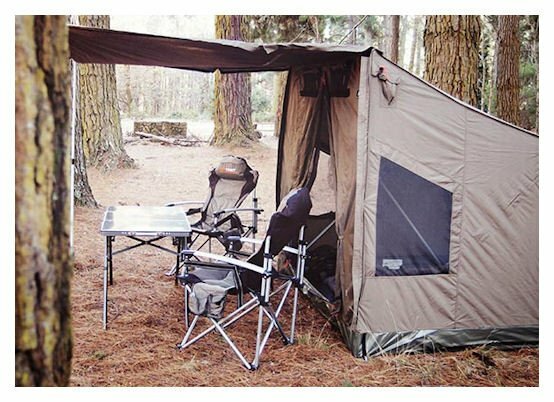 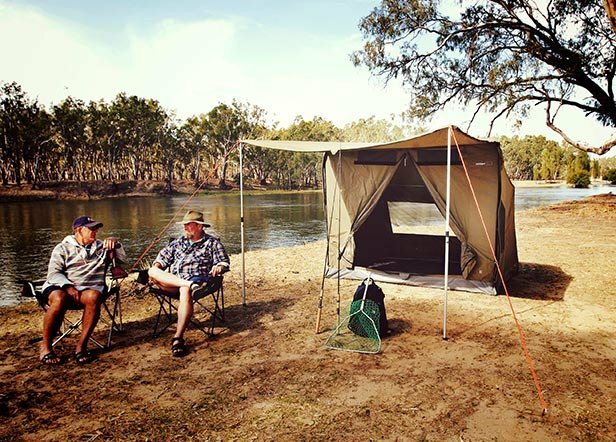 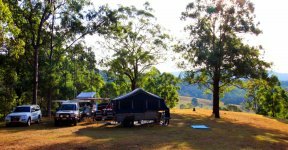 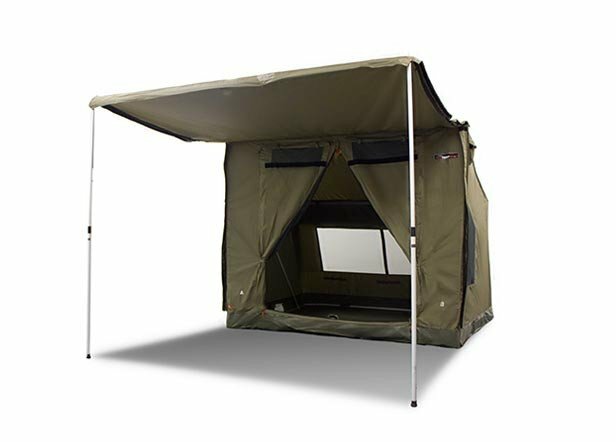 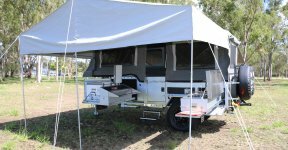 All OZTENTS are guaranteed waterproof and are covered by a full 2 year warranty. 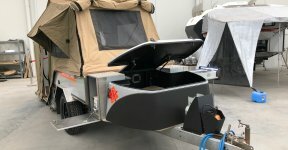 It comes with side and rear windows and zippered power inlet.